Originally formed under the moniker of Rigor Mortis (NY) in 1986, Immolation has paid their dues in their thirteen-year existence. With the release of the band’s 3rd full-length album “Failures For Gods”, Immolation will prove that they have evolved into one of the premiere metal acts of our time. With numerous demos in the late 80′s, Immolation catapulted to the top of the underground metal scene through the strength of mail, fanzines, and live shows. Being the first band of their kind to perform in Paris, France, and Lima, Peru. This helped build Immolation‘s rabid cult following that exists to this day in full force. After two solid full length releases “Dawn Of Possession” (Roadrunner) and “Here In After (Metal Blade), as well as extensive touring in both the U.S. and Europe, Immolation is poised to bring forth their greatly anticipated third album. “Failures For Gods” will without a doubt burn a lasting impression into not only the death/black metal scenes, but will also take the innocent souls from those not yet familiar with what true dark metal is. Innovative, haunting, powerful, and heavy as Hell itself! 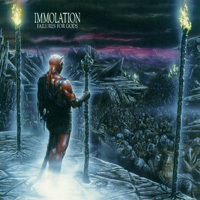 “Failures for Gods” is Immolation‘s strongest, darkest, best-produced and most unholy album to date. There has been more hype for many bands in the past, but few, if hardly any, ever live up to what they’re hailed. With Immolation you can expect nothing but extraordinary. From their unique song structures, to their blatant poetic lyrics, “Failures for Gods” shows no weakness. 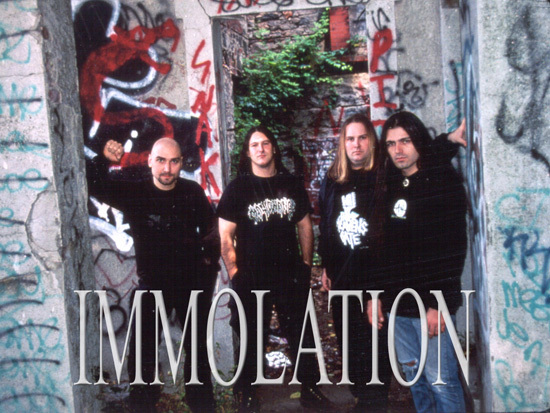 From beginning to end Immolation will take you on a journey you will not forget. Unexpected twists and turns, bizarre time signatures, chilling leads, memorable somber riffs, and heart felt vocals make up this style of original metal that has been built slowly over many years. 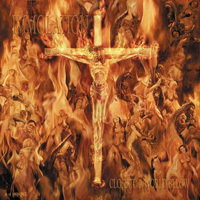 Countless bands have come and gone, but Immolation has been holding their ground waiting for the right moment to strike. “Failures for Gods” will be their swing of the axe! And rest a sure that they have only just begun.